Michelle is a native of Raleigh, NC, and is the Artistic Director and Founder of Sonorous Road. She holds a BA in Theatre from Meredith College, an MA in History from Sam Houston State University, and an MA in Theatre Education from Emerson College in Boston. She has performed, trained, and taught in Boston, New York, London and now Raleigh, acted in numerous regional plays as well as starred in the short film Try Try Again which she wrote and produced. See MichelleMurrayWells.com for more information. Josh brings years of experience in sales, marketing, and business development to the organization. With degrees in Electrical Engineering he spent his early career working for the Department of Defense and then transitioned to technology sales & sales management working for a clean-tech startup in Boston. Josh continues in his "day job" as a Cybersecurity Business Development Manager at Cisco Systems, Inc. Josh is a military veteran with over 15 years of service in the Army National Guard and Army Reserves including a tour of duty to Iraq in 2007. He is a passionate supporter of the arts and the benefits that arts education can provide. Zachary has directed and produced over 30 theatrical productions including Desire under the Elms, All My Sons, Eurydice, Long Day's Journey into Night, Steel Magnolias, Miss Saigon, Little Shop of Horrors, The Importance of Being Earnest, and the inaugural production at Sonorous Road - Belleville. While living in Chicago, he worked in the casting department of the Tony Award winning Goodman Theatre. He was also the casting director and an assistant director at the Jeff Award winning Provision Theater Company and worked as an assistant stage manager at TimeLine Theatre (2011 Wall Street Journal's Theatre Company of the Year). Having grown up in Raleigh, he attended Campbell University and East Carolina University. Zachary holds an M.F.A. in Directing from Western Illinois University, and he is currently the Director of Theatre at Southeast Raleigh Magnet High School where he is a Claes Nobel Educator of Distinction. He is married to the beautiful Shannon Roberts, also a Raleigh native, and has two precocious children Lila and Oliver. Beau loves the kaleidoscope of cultures found in the triangle, and is thrilled to stand squarely in the middle of this burgeoning community. Once upon a time, he attended the College Conservatory of Music (CCM) at The University of Cincinnati, appeared in various regional plays (including the world premiere of the Operetta “Kilkee”) and fronted a couple of indie rock bands you’ve probably never heard of. After retiring from theatrical pursuits over a decade ago, Beau was plucked from obscurity to act in Sonorous Road’s “The God Game.” During his hiatus from the stage, he spent a great deal of time working for a myriad of nonprofits as an administrator and manager. Joining Sonorous as Associate Managing Director, Beau is ecstatic to combine his lifelong passion for theater with his years of experience in business. Anthony has always had a passion for lights and all things electrical. At the wee old age of 1 his very first words were 'Light On' while standing on a chair flipping the lights on and off. As he got older his passion has only grown to bigger, brighter lights and 220 volt electricity. 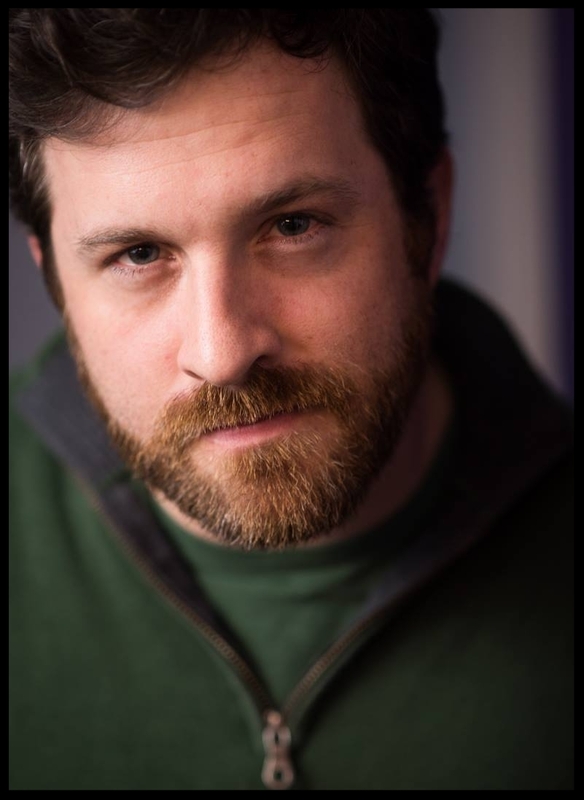 Since moving to Raleigh in 2008 he has worked with NC State University Theatre, NRACT, Cary Players, l.i.t, Women's Theatre Festival, Tin Pan Players, Sotto Voce Theatre, and Sonorous Road Theatre. Shelley Snapp is an accomplished music educator with over 20 years of teaching experience. She has served as Music Director and Accompanist for numerous musical theatre productions, and on staff at several churches as Choral Director and Pianist. In addition to her work as a private piano educator, Shelley has composed/arranged original songs for musical theatre, expanded into sound design work, and collaborated with Chamber musicians from the North Carolina Symphony. Shelley attended the International Academy of Music based in Indianapolis, Indiana and is a proud mother of three daughters. Hayden Tyler graduated from Lees-McRae College with a BFA in Musical Theatre and a BA in English. You can find him directing, choreographing, writing, and performing across the Triangle. He teaches acting, dance, movement, tension relief, and stress management using his unique energy-based modality. Hayden cofounded the Cardboard Box Ensemble in Greensboro NC in 2016 with the goal of producing new and classical theatre with emerging artists. He is passionate about promoting equity, accessibility, and opportunity in the arts. Lorelei is an active member of the Raleigh Theatre Community, having been seen on stage at Theatre in the Park, NRACT, and with Seed Art Share. A native of Rochester NY, Lorelei played the title role in Sylvia on the Geva Theatre Nextstage and was also awarded Best Leading Actress at the International Irish Theatre Festival for her role in Love in the Title. She was also an educator and actor with TYKEs Children's Theatre. An independent filmmaker and photographer based out of North Carolina, Renée has worked in locations around the U.S. as well as abroad in Finland where she directed and filmed Sisareni (release in 2015), her first international collaboration. She holds a BA in Cinema/Television from Regent University and is currently a student at Duke University Divinity School. Among her interests, Renée values the stories of other cultures. Her collaboration with natives from the Ukraine, Russia, and Finland mark the beginning of a journey to hear the voices of others and to reach them with her own. Find out more atrenee-fisher.com. Daryl Ray Carliles is a professional theatre, film, and TV actor, receiving his training from T. Schreiber Studio in NYC where he was also a member of the Jaradoa Theatre Company. While in NYC, he was a teaching artist for the companies “Arts For All” and “Improv For Kids”. He then went on to pursue a career in film production, earning the title of Assistant Director and Producer of several award winning films. Recently returning to the triangle, he continues his acting career, while teaching Film and Theatre acting at Sonorous Road Theatre & Film Studio. Ezra Brain is a teaching artist, director, and playwright who recently graduated with a BFA in Theatre Education from UNC-Greensboro. He has taught and directed at Camp Livingston, the Community Theatre of Greensboro, Applause! Cary Youth Theatre, City Arts of Greensboro, Stop Pretending Theatre Project, Paper Lantern Theatre, Literacy Theatre, UNC-Greensboro, and Left Field Theatre (where he also served as Artistic Director). Ezra's writing has been produced by the Stop Pretending Theatre Project, Literacy Theatre, Camp Livingston, and UNC-Greensboro. He is the two time recipient of the UNC-Greensboro Behmer Award for Excellence in Theatre Education and has also won a Behmer for his directing.